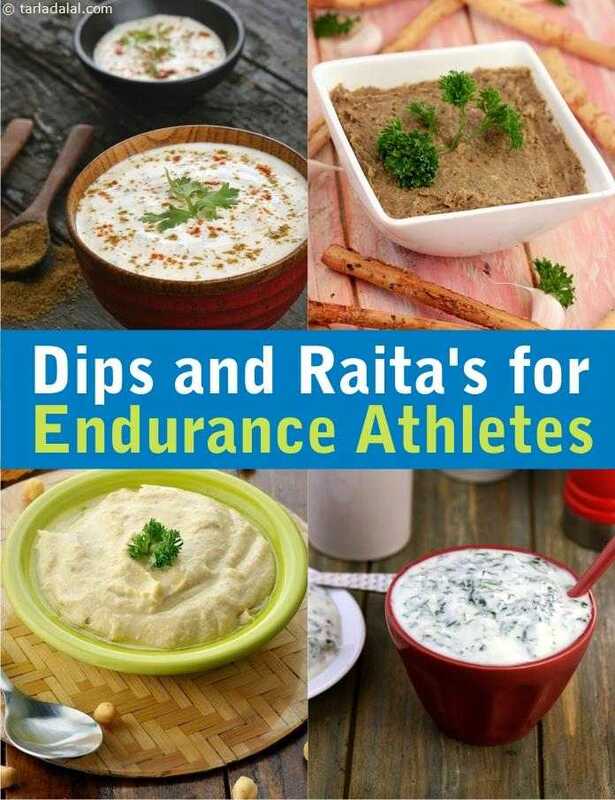 Easy healthy dips and raita for Athletes, Marathoners. Dips make a great snack. I use them at work or at home as part of my meals. Easy to make and very healthy. There dips used here are all high in good fats and have protein with low carbs. Ideal for anyone as that is hallmark off a healthy diet. Lots ask, why high fat? That is what powers the body. We are talking good fat food like a good Creamy Thick Curd Dip Using Jalapenos, Olives and Sun-dried Tomatoes . The difference is that your body gets the correct energy and when you eat these dips you will realise that. Try eating bad fat like french fries and you will feel miserable later and feel like sleeping. We are talking about giving energy to your body. There are those who don't exercise regularly or over weight or have Cholesterol and Diabetes issues. Then you want to stay away from these recipes and use low fat options. So you would look at having low fat curds, low fat milk and low fat paneer in your diet. We then suggest you try Mixed Veggie Raita, Beetroot, Cucumber and Tomato Raita, Lauki Phudina Raita and Jamun Raita. Avocados and Hummus also make great dips. Avocados are high in fat and very healthy to have. So is chick peas in the Hummus dip.